Mariposa Beach Suites and Resort - SEO And Website Design Projects | SilverServers Inc. Does your Website Need a Check Up? Let our web docs have a listen. Click here for a free physical. Can you make any money off of it? Simple, reliable, BC-based hosting options. The SilverServers Grassroots search engine optimization program gives small to medium businesses the ability to keep their websites healthy and ranking up well in search engines. Our Kamloops-based team of seo experts build and manage websites for businesses near and far. Mariposa Beach Suites and Resort in Belize is an example of a company we helped that operates far from Canada. Their beach resort makes its home on a stunning coastline near Placencia Village, Belize. Mariposa is a beach suites resort and restaurant on the Placencia peninsula in Belize. They offer many suites and treehouses on their property with beautiful views of the Caribbean Sea. Along with these suites they have the only second-level restaurant in Placencia. With plenty of room to enjoy a private meal or a customized event and the beautiful sights of the Caribbean Sea, their restaurant is a great place to go for dinner and a view. Mariposa had a Wordpress website when they first signed up for our Grassroots SEO program. Their site needed content optimization for search engines as well as a new design. They had a friend create the website's design and we had a great experience working with him! Once the design was complete we installed our custom CMS (content management system), created custom and optimized content, and launched the site in March 2016. Now this custom-built, responsive design website is quick-loading, mobile friendly, and high ranking for "placencia beach suites" and "belize beach suites resort". We enjoy every opportunity we get to work on this site because of the great pictures of the views there. Chris also enjoys any chance to research the area and write page content about the location! When we first started working with Mariposa, they were just a Bed & Breakfast. Since then they have had to expand to become the resort they are today. We wouldn't say the website caused that increase in customers, but we like to think that it helped! The Mariposa Belize Beach website has a couple of features on it that, although not unique in our work, have been able to shine through well. First, this is one of a small few sites we've built that use parallax scrolling. That looks great with the big jungle and ocean images hiding throughout! And second, this domain is also an example of a time where we worked with a 3rd party designer chosen by the client. Although we now have our own graphic design team - and before that had typically worked with a few select graphic designers - we are happy to work with a client's chosen designer if they have a friend they know and trust. 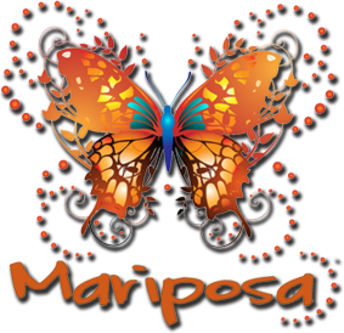 We recommend that you check out Mariposa's website. The magnificent views hinted at in their photos will keep you clicking around to every page. If you would like to talk to SilverServers about building a great looking and search engine optimized website, contact us to get a free website review, get a development quote, or see what we can do for you! Our websites are custom built to your needs. The Silverservers Group have been awesome from the start. Their website technical and creative abilities have exceeded my expectations. As a result of their efforts my website is now in #1 position on Google and it has reflected very positively in my business bottom line. Our monthly customer/technical support and brainstorming of ideas are very valuable as well as educational to me. I would recommend their skills to anyone. We have been consistently impressed with Silver Servers' level of service and advice. Updating and using our website is simple and efficient as well as intuitive. Our website has become an indispensable part of our operation thanks to Silver Servers and their design team.